Customer care is about more than a polite phone manner and a dedication to serve customers as quickly, efficiently and helpfully as possible. It’s about genuine relationships, and that’s something that is very important to Hobbs Valve. 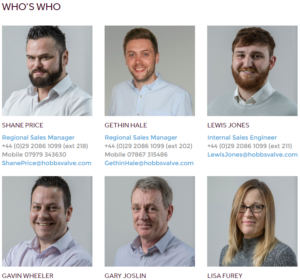 As such our sales team is hitting the road this year to ensure some valuable face time with our customers and contacts – we know it’s important to connect on a personal level as well as a technical one. Project Pursuit & Marketing Manager (Global), Shane Price, will be flying the Hobbs Valve flag at ONS (Offshore Northern Seas) in Stavanger, Norway, from 29th of August to 1st September. He’s visiting with our partner BD Oil & Gas and will be taking the opportunity to meet and greet at a what is now a global event, first held in 1974. This year’s event will feature no less than 260 conference speakers and will be spread across ten exhibition halls. If you’d like to catch up with Shane at the event (or grab a bite with him at the Mexican Restaurant), please do call our office or send him an email directly. Gethin Hale, one of Hobbs Valve’s business development managers, is planning a trip to Abu Dhabi’s ADIPEC on 7th to 10th of November. Billed as the world’s most important oil and gas exhibition and conference, ADIPEC is a truly vast affair, with conferences, exhibitions, award ceremonies and even a golf day for those who prefer to do their business on the green. If you’re attending and would like the opportunity to catch up with Gethin, please just send him an email. Germany’s Valve World will be attended by a full Hobbs contingent this 29th November to 1st December. Dusseldorf is the destination to enjoy the full conference and expo, with Alun Hobbs, Shane Price, Bethan Abram and Gavin Wheeler all on hand to meet with clients and prospective clients or suppliers. Please get in touch with any of the team to arrange a meeting – we’d love to see you there and chat about valves, the state of the industry or simply the quality of the beer in Dusseldorf. The Valve World Expo features leading global manufacturers and distributors of equipment such as control valves, safety relief valves, actuators, instruments, positioners, and gearboxes. Lastly, newly promoted Bethan Abram (Operations Manager) and Gethin Hale (Business Development Manager) are travelling to visit the Hebron site located offshore Newfoundland and Labrador, Canada. With a focus on customer care and a personal service, the pair will be packing the thermals to make introductions with the Exxon Mobile team and check out the technical specifications at the incredible GBS megastructure.